Distant Horizon - Avatar Pumpkin Carving Competition! Hello, and welcome to Distant Horizon's final Avatar Pumpkin Carving Competition! The place where you can see Avatar-themed pumpkins, send in your own, and vote for your favorites! DietCheesePlease, Molly, Christine, Jeff, and Mod's Choice winner, Airbender Alliya! Many thanks to all who entered and voted in this final year of the contest. Keep on carving, Pumpkin Benders!! You can also see the prizes from previous years! There is a Tumblr for this contest as well. Throughout the month of October people could send in photos of their carved pumpkin. Everyone was allowed to enter up to 2 pumpkins each, and submissions closed at midnight on the first weekend of November. The voting began on the following Monday after the submissions period ended, and stayed open for two full weeks. Everyone was allowed to vote once for their top 5 favorites. Those votes determined the top 15 winners, and out of those 15, the top 4 + "mod's choice" would win a prize. Those winners were announced on the following Monday both by email and the announcement on this page and at Distant Horizon. You can also follow this contest on Tumblr, at dh-apcc.tumblr.com! Had to be Avatar: The Last Airbender or The Legend of Korra related. Related universe characters like from the TCG and comics were fine too. Also, the carving needed to be viewable for all ages. Everyone from any country was allowed to enter up to 2 pumpkin carvings each, but they'd be voted on together. Using foam pumpkins or other carve-able veggies like watermelons and squashes were acceptable. Entries must've been physically carved. Photoshopped images or using decorations like paper or paint would not be posted. Submitters must've been involved in their pumpkin's carving. Help from family/friends was fine, but they couldn't submit a pumpkin if they didn't help make it. At the end of the voting, the top 15 winners would be announced and their pumpkin photos be put on display forever. All winners were notified by email, and the winning results mentioned at Distant Horizon. Out of those 15, the top 4 + "mod's choice" could request a prize from the group below, then work out the details with me or the provider of that prize. Click here to see prizes from previous years! 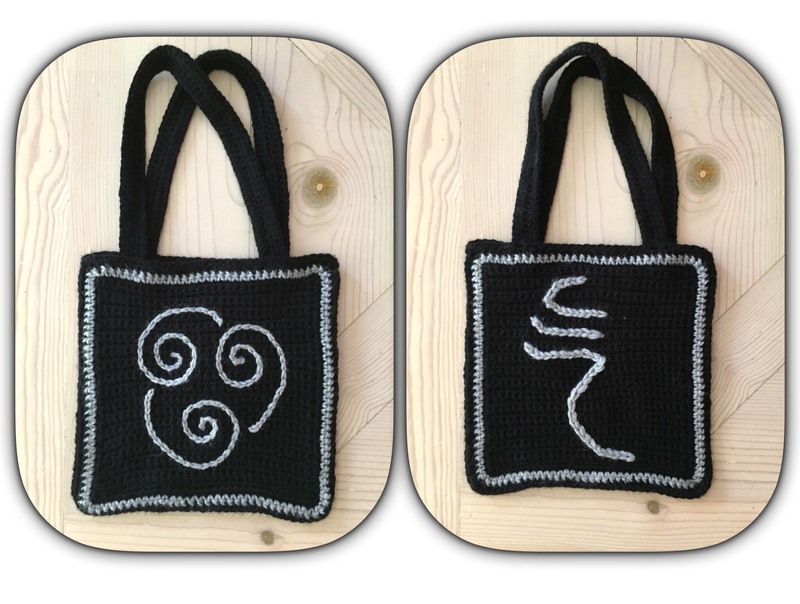 A crochet keychain of an ATLA/LOK character/animal of their choosing, made by Jade/Musogato. Q: Why is the contest ending in 2017? A: The APCC has had a wonderful run, and I've really loved being a part of this contest for the past 13 years. But participation has been trickling down since ATLA and LOK ended, and I no longer have as much free time as I used to. It felt like a proper time to close this chapter. Plus 13 is a spooky number, so. Many thanks to everyone who has visited and been a part of this contest; you are wonderful and loved! Q: How do we vote? And when? A: There will be an online poll available during the voting time, and the link to it will be near the top of every page on this site. On the poll will list all of the entries' names and pumpkin photos, and you will be asked to type in the names of your top 5 favorites. If you vote for more than 5, the 6+ will NOT be counted. Same for if you vote repeatedly for the same pumpkin. The voters' IP addresses are recorded to help weed out cheating, but that information is deleted once the voting period is over. Voting will take place during the first two weeks of November. Q: As long as the participant carved it, is using free patterns allowed? A: While original carvings are always smiled upon, I personally do not have a problem if participants enter carvings using (Avatar-themed) publicly available patterns/stencils. (This does NOT mean copying previously-entered pumpkin carvings.) Unless the original pattern maker objects to using their design for contest purposes, or 5+ people enter the same carving design, I will allow stencil designs. Be warned though, by using a familiar pattern, if other participants use it too there will be more scrutiny on those designs to see who carved/lit it best. Q: Hey wait... why is Jade (the contest host) allowed to enter her own contest? A: Because carving pumpkins is fun and I resent not being allowed to enter. :P I really like this contest a lot, and it's so much more enjoyable to be involved in the participation than just updating the site and keeping track of votes. Though if my entry ever makes it into the top 4, my prize will be passed to the next winner in line to keep things fair. Q: How come there have been pumpkin entries that haven't been carved? If you have any questions about this competition, you can email me here. Walt's Pumpkin Carving Secrets: Making Patterns is also extremely helpful, especially if you are going to make an Avatar pattern and aren't quite sure how to do it. Stoneykins.com Patterns & Carving Guide has a ton of amazing-looking intricate patterns and a step-by-step carving guide. Another great site to see how patterns work! You can also link back to this website if you like! Avatar: The Last Airbender is copyrighted by Nickelodeon and Viacom International, 2005. No profit is being made from this site or this competition; it's just some fun for the Avatar fans.